WHAT HEADPHONES ARE WE GOING TO REVIEW? 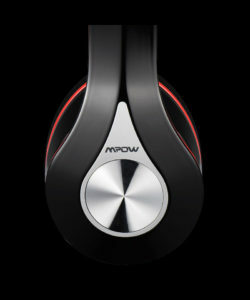 Mpow describes itself as the No.1 Premium Bluetooth Accessories Brand for Smartphones. 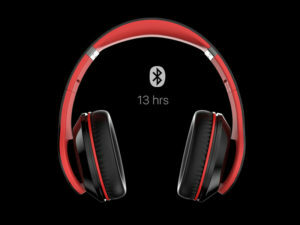 The truth is they have many Bluetooth accessories available but what we are focusing on right now are headphones. In this part of their portfolio, they are doing really well. But is this effort worth to try? Let‘s dive into this review in which we are going to discover the secret. For this test, we decided to uncover the Mpow Flagship – 059. What do these nice looking headphones offer? I received the ordinary box. After opening the box we get nice looking headphones. We get charging cable, 3.5 mm audio cable (more about it later), manual and carrying pouch. The audio cable may surprise you as 059 is promoted as a wireless headset. You can use your headphones both wired or wireless. Using the audio cable prolongs using the headphones. 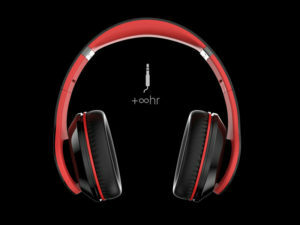 059 are over-ear headphones. Their design fascinated me from the first moment. But you do not need to worry. 059 are a really beautiful piece of art. The right side has the nice metal plate and on the left side are control buttons. It is easy to fold and also the adjustable headband. Connectivity is available from the bottom of the headphone shells. IS THE SOUND GOOD ENOUGH? To test the sound quality, it is always good to listen to different styles of music. For this test, I used hard rock, progressive metal, little jazz, and classical music. My first impression was, these headphones are worth its price. The sound I heard was better than I expected. Isolation of the cups was pretty good. I did not hear any disturbing noise. They were pretty good in mids and highs. Truth is they aren‘t as strong in the bass. What was a little bit irritated for the rock part of my test. But during the jazz part, it was much better. Classical music was not the best but also not the worst I have heard. For that price, I felt like I have more then I paid for. What really negatively surprised me was that the sound was different with the audio cable. HOW IS IT WORKING WITH THE SMARTPHONE? It‘s easy to pair 059 with the phone (in this case Android). Headphones paired right away. I was able to make calls, watching the video without any delay. I made several calls handsfree. Here is my note. The mic is able only in wireless mode. With this type of cups it strange. Usually, I have an earache and a headache when I have this kind of headphones. But these pair of cups is big enough to encompass my earlobe. They were also comfortable enough to wear it. 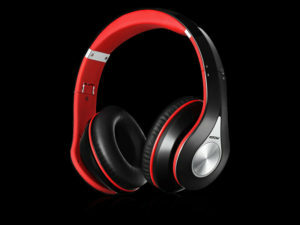 059 are affordable headphones. Easy to use wireless or wired. Have adequate quality sound. When you use cable, you are in passive mode and can extend the time of listening to the music. 059 has a bit tighter headband. People with the bigger head can feel a little bit uncomfortable. Operating controls on the right cup are easy. The battery can last for a really long time. I listen to music for several hours in two or three days. When I charged the battery, I used 1A charger and it was fully charged in about 3 hours.